It’s official: the festive season cheer has well and truly taken over St. Collins Lane in the most epic way. Here’s a quick round-up of the exciting offers happening in-centre until the big day! At St. Collins Lane, all that glitters IS gold. 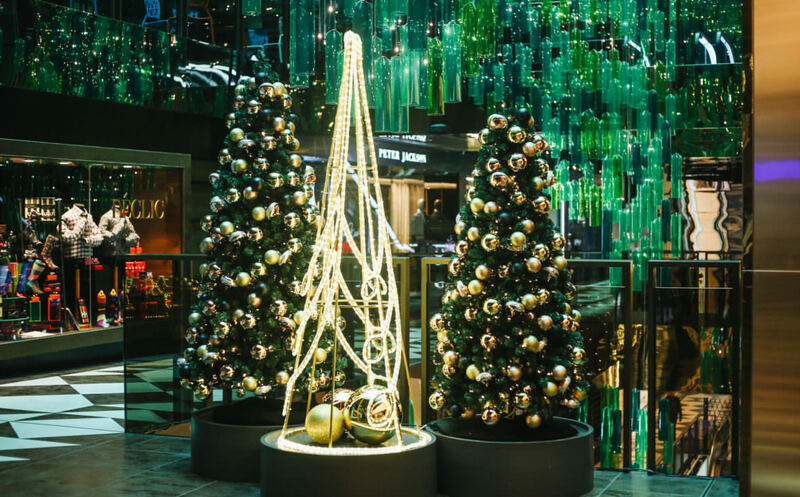 With decorations that shine this brightly, there’s no way you’ve missed the festive cheer from Rudolph and his friend on Collins St or the Christmas trees dotted through the centre. Cherryhill Orchards will help you put the cherry on top of all your festive season plans with the freshest and yummiest selection of everyone’s favourite summer fruit. It’s perfect as a present, snack, Pavlova topping or all of the above. That’s not all either, Cherryhill Orchards are also stocking some delicious and refreshing drinks including Cherry Whit Beer, Cherry Vanilla Porter, Cherry Cider and Cherry Spritzer. This is one pop-up you don’t want to miss out on! Located on Ground Floor. Let’s face it, shopping may be fun but gift-wrapping sure ain’t. To help make your Christmas to-do list a tad shorter, we’re offering complimentary gift-wrapping for every purchase made at St. Collins Lane. This service is available at the Concierge Desk, located on Ground Floor. And if you’re in a bind, here are four gift ideas that will go hand-in-hand with our ridiculously good gift-wrapping skills! Briefcase and messenger bag from CALIBRE. Bowties from DÉCLIC, located on Level One. Bags and key rings from Coach, located on Ground Floor and Level One. Makeup bags from Review, located on Level One.